Copyright H. R. Oakman. 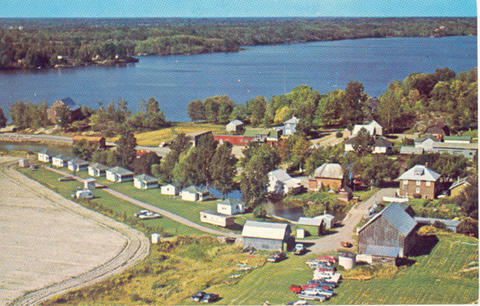 Published by Peterborough Post Card Co., Peterborough, Ontario, Canada. Item is a postally unused postcard with notes verso. Handrwitten notes: 37925 mileage 15 till 8 AM - 18 aug 1966 on wat to cass from audea park. Betty & Chris Shesipline were the all? beautiful day. 80 miles from trailer la cass via Route 28 - 250 going back. back 219 & 28. went 250 miles webster springs.